The performance of InterGrain’s newest Australian Hard (AH) wheat Vixen is withstanding the challenging seasonal conditions being experienced across the eastern seaboard. Released at the Baker Seed Co. Field Day in Rutherglen, Victoria on Friday, Vixen is persevering in 2018 trials and seed ‘bulk-up’ areas remain on-track for achieving good yield potential and meeting grain receival standards despite trying seasonal conditions. 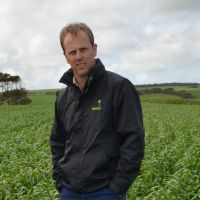 Extensive trials by InterGrain (past five years) and the National Variety Trials (NVT) program (2017, as line IGW4279) have demonstrated Vixen is the highest yielding, early-mid maturing AH wheat in the southern and south-eastern classification zones, covering South Australia, Victoria and Southern New South Wales. Vixen is estimated to have a 5-6 per cent yield advantage, over Condo in Southern NSW and 7-8 per cent advantage compared to Corack and Mace in Victoria. It has demonstrated similar yields to Scepter, although with its earlier maturity makes it a very attractive alternative and provides increased sowing option flexibility. Long-term NVT Multi Environment Trials (MET) analyses indicate Vixen has slightly higher end-yield potential compared to Scepter in the Southern and South-Eastern regions. In officially launching this new AH variety at Rutherglen, InterGrain wheat breeder Dr Allan Rattey told growers it was apt that the cunningly-named Vixen was being released in an area renowned for the cunning activities of outlaw bushranger Ned Kelly. Dr Rattey says the InterGrain team have seen Vixen show excellent yield stability across multiple years and locations in the southern and south-eastern regions and this is a key trait that makes it a ‘stand-out’ from other hard wheats. He says not only is Vixen the highest yielding early maturing AH wheat now available to growers throughout South Australia, Victoria and southern NSW, it offers a very solid disease resistance package with good yellow leaf spot, stripe rust and stem rust resistance. 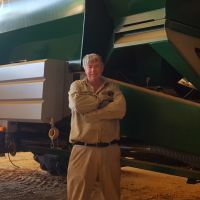 “It is rated moderately resistant to moderately susceptible (MRMS) for all three of these common and costly wheat diseases,” he says. Dr Rattey says Vixen is an exciting new line to come to the market for growers seeking a high yielding wheat option for mid-May sowing. 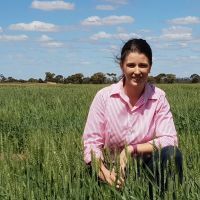 “Vixen will be a useful tool for disease control programs in wheat-on-wheat rotations, especially where cereal cyst nematode (CCN) is effectively managed. Vixen has a good grain size, low screenings and comparable hectolitre weight to other commonly grown varieties.” he says. “Our breeding program is very focused on combining high yield with elite quality, enabling delivery of varieties with AH or greater classification and with good physical grain characteristics. “Vixen is available for planting in 2019. However, seed supplies are limited, so it is recommended interested growers place seed orders as soon as possible with local Seedclub members and/or resellers.